As striking as it is elegant, the Capri is a real head turner. With its soft curves, the Capri is very much in harmony with today's modern gadgets. 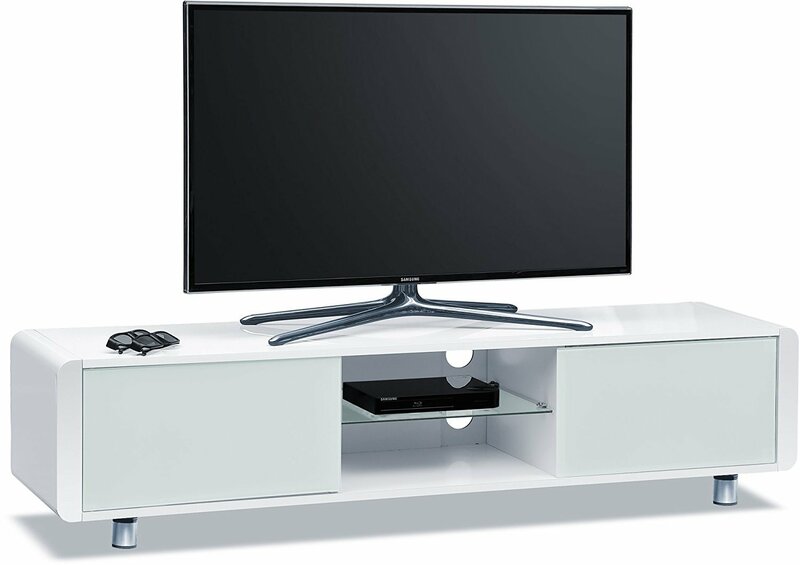 Suitable for TV screens up to 65", the Capri caters for the largest of screens and has ample storage for a full range of equipment. 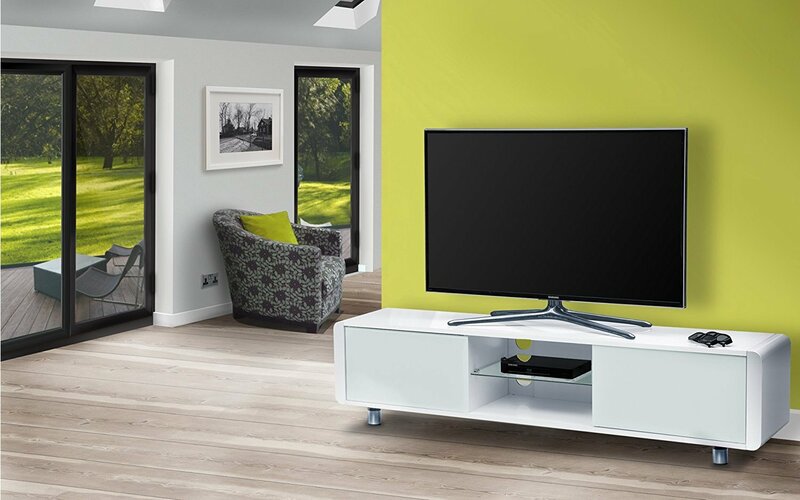 Finished in gloss white with contrasting silver feet, complimented with two beam-thru doors with infrared compatibility, maintain a very sleek appearance whilst hiding away equipment from view. 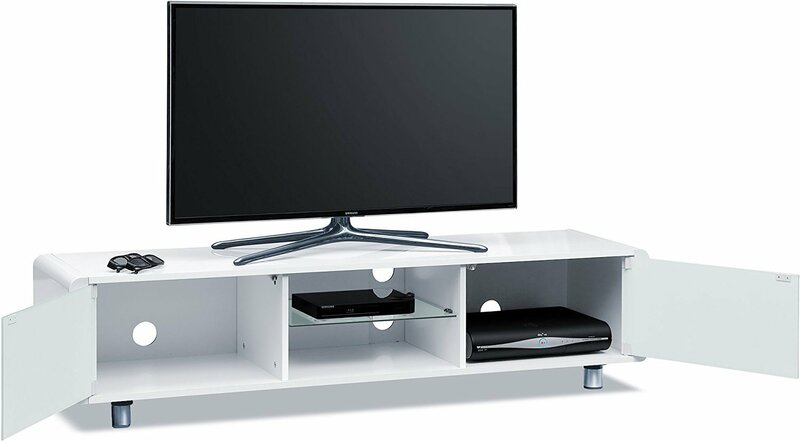 The practicality is further enhanced by full cable management at the rear of the cabinet also offering ventilation for equipment housed inside.